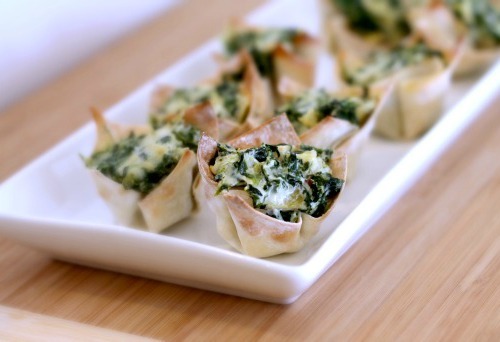 These Spinach and Artichoke Wontons are super simple to make and are perfect for your holiday or football gathering! We never go out on New Years Eve. It’s just to dangerous to be on the roads. Who wants to end up with a DUI or in a wreck caused by someone driving while intoxicated? I usually make some sort of delicious meal or appetizers and we enjoy some tasty beers at home. 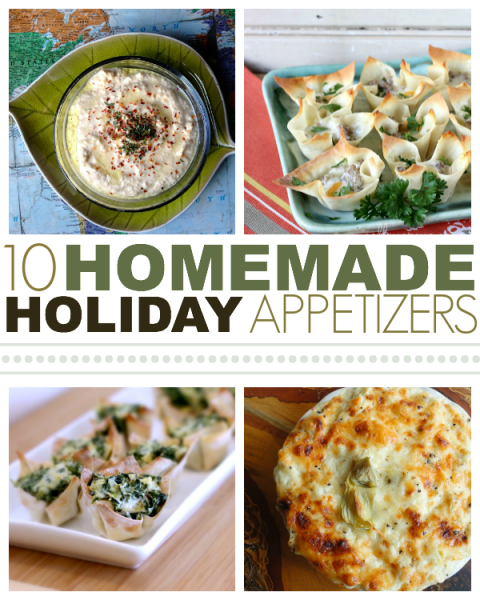 This year, I decided to make appetizers to much on for dinner. Grilled Wings, Grilled Meatballs, Crab Rangoon, Stuffed Mushrooms and the recipe I am sharing with you today, Spinach and Artichoke Wontons, were what we dined on on New Years Eve. I got the idea for this recipe from a few different sites, including What’s Gaby Cooking and Gimme Some Oven. These little gems are delicious and hard to resist. Be prepared to eat all of them at once because they are just that good. I hope you enjoy this recipe! Also, be sure to stop back by soon as I will be sharing the Crab Rangoon recipe sometime in the near future. 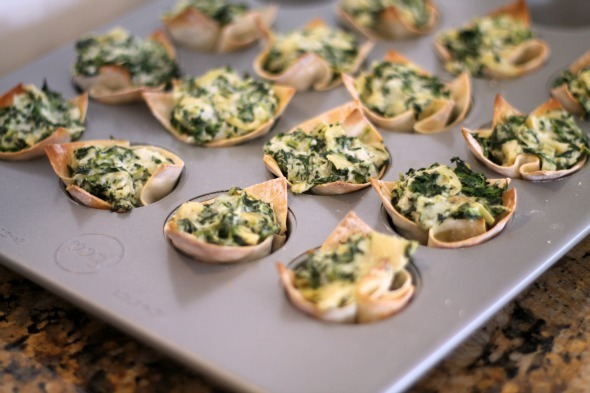 In a large bowl, mix together the spinach, cream cheese, mayo, sour cream, seasoned salt, roasted garlic, onion, artichoke, Parmesan and mozzarella cheeses. Place one wonton wrap into each cup of a mini muffin pan. I used a muddler to gently press the wonton wrappers into the muffin cups. Bake the wontons for 8-10 minutes at 325 or until slightly browned. 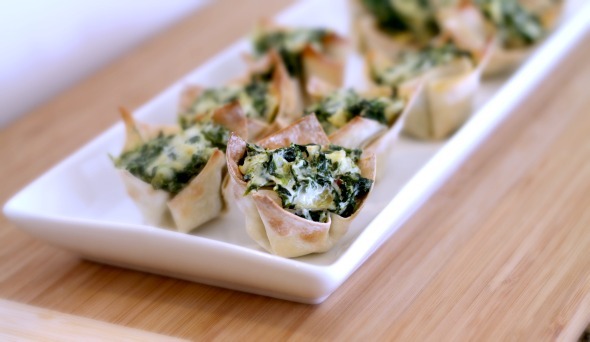 Remove from the oven and add a scoop of the spinach & artichoke mixture into each wonton wrapper. I used a small fork to do this. Bake at 325 for 8-10 minutes. These look adorable (and delicious!) – I’m definitely going to try them. Thanks for posting! 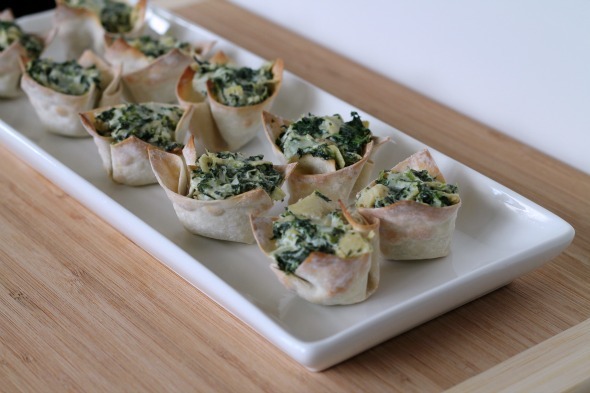 I am happy to have your recipe for spinach artichoke dip– I crave the one that is sold at Costco and would love to make it at home. Sounds like you had a very tasty New Year’s Eve! This sounds amazing, I will have to try it! These look yummy. They are pinned for next time I need an appetizer–like soon. Love these! So bitesized and perfect! Great photos! I wish I could cook food that looks that good to photograph! Mmmmmm! Is this like the spinach and artichoke dip? I love that there is no “double dipping” threat with the individual ones!